Come participate in hands-on STEM activities (Science, Technology, Engineering and Math) this Thursday, February 20 at the Bullock Texas State History Museum. 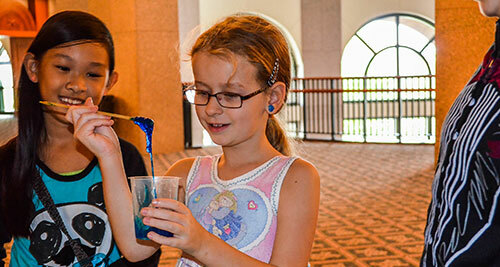 Science Thursdays, which occur on select days every month from 9 am – 1 pm, include expert demonstrations and plenty of opportunities for the kids to roll up their sleeves and get involved. The event is FREE for all groups who have pre-registered; for more information, please talk with a Bullock Reservationist at (512) 463-6712 or reservations@thstoryoftexas.com.